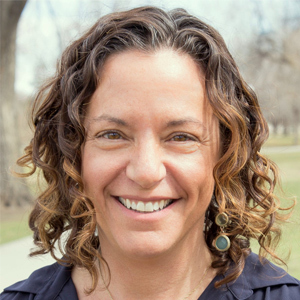 Amy Anderson is the Executive Director of ReSchool headquartered in Denver. Follow them on Facebook, Twitter, and YouTube and learn more at reschoolcolorado.org. We are on a quest to co-create a learner-centered, expansive system of education that will serve the unique needs, interests, and passions of all learners. ReSchool works directly with families to build their capacity and confidence to get what they want and need from our systems of learning, within and beyond school. ReSchool also partners with educators, community-based organizations, philanthropists, and businesses to leverage existing assets more purposefully around the needs and aspirations of learners and to launch new solutions to address gaps in the ecosystem. Despite studies showing the positive impact of out of school experiences and the fact that kids spend 75% of their waking hours outside of school, so much focus has been on learning that happens within the walls of school. The education landscape, both in and outside of school, is complex and difficult to navigate, and access is not equal for all kids, so we are working with families, communities, and partners to close that gap. More than 50 families (with over 100 kids) have worked with an Advocate in our Learner Advocate Network (LAN) to understand their values, identify learning goals and aspirations, build relationships and support networks and make meaningful choices about education. We’ve watched kids take an inspired learning path through this process and we’ve watched families strengthen their capacity to navigate the system and advocate for their children after working with a Learner Advocate. Thousands of people have accessed Blueprint4SummerCO (B4S) since we launched it in 2017. Blueprint4SummerCO is a free, searchable website that puts thousands of summer activities in the Denver area in one place for families. After spending countless hours compiling information about learning opportunities beyond school and organizing them into a format that wasn’t very accessible for the families with whom we worked, we were turned on to the B4S website and partnered with the Clark-Fox Family Foundation (who created B4S) to bring it to Colorado and make it available for the broader public. ReSchool believes strongly in the power of families as the drivers of change. We must disrupt traditional power dynamics in order to advance equity in education. That means honoring and giving weight to people historically excluded from system design and leadership. As we break down barriers to access and a growing number of families harness the capacity to get what they want and need for their educations from a vast array of providers, we will see lives radically transformed. Most importantly, this isn’t something we have to wait for the system to do for us. As a community, we have the power to make this shift happen ourselves. The future is now! Partners with aligned interests, families who value our mission and services, and revenue from a diversity of sources. Staying true to our vision of being a catalyst for creating the conditions that will allow a modernized education system to flourish. ReSchool doesn’t want to become a large non-profit that runs a bunch of programs. Instead, we want to remain evolutionary in purpose, inspire action, and build a responsive, equitable learning ecosystem. Anchor your work in human-centered design and read the book Reinventing Organizations. Play the ReSchool Game with Friends and colleagues, sign up for the ReSchool newsletter to follow our work, and make a contribution to our organization!